No fewer than two policemen attached to the Special Anti-Robbery Squad, Oyo State Police Command, were run over by a suspected drunk driver in the Orita Challenge area of Ibadan, on Friday. 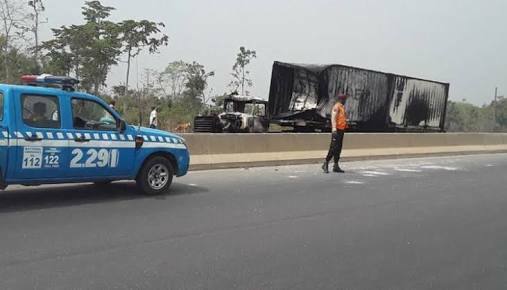 Eyewitnesses said the suspect hit the policemen as they were about to enter a vehicle they brought to the area, killing them instantly. It was also gathered that the driver had been arrested at the scene and detained pending further investigation. The eyewitness, who spoke to The Punch on condition of anonymity, said, “I was at the scene of the accident waiting for a friend, who had promised to pick me up. Suddenly, a driver seemed to lose control of his car and hit the two policemen as they were about to enter their vehicle.